President Trump on Thursday is likely to announce plans for a future summit meeting with President Xi Jinping of China where the two will resolve remaining trade issues and sign a final agreement between the United States and China, people familiar with the matter said. The announcement is expected to coincide with an afternoon meeting at the White House between Mr. Trump and Liu He, the Chinese special envoy, who has been in Washington this week for discussions with American negotiators. The United States and China have not finalized a trade deal, and will continue to negotiate over remaining issues in the coming weeks. But an agreement to schedule a summit meeting suggests both sides are eager to come to a compromise that would end months of tensions between the countries and could prompt a rollback of at least some of the tariffs that the United States has imposed on Chinese goods. Myron Brilliant, executive vice president and head of International Affairs at the U.S. Chamber of Commerce, said administration officials had expressed progress in the discussions, giving confidence to both sides to move forward with a presidential summit meeting. Over nine rounds of negotiations, the United States has pressed China to make commitments on purchasing American goods, opening markets to foreign business and increasing protections for foreign intellectual property in a bid to rebalance an economic relationship that Mr. Trump says is unfair for American workers. 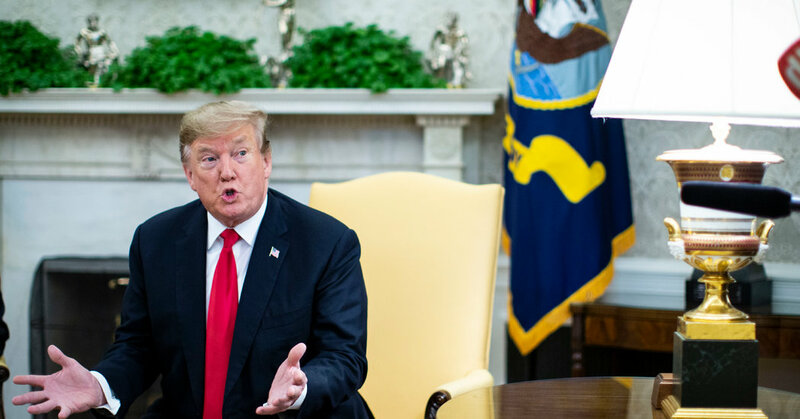 Earlier this week, the countries had largely reached a compromise on many areas but were still haggling over exactly which of the $250 billion worth of American tariffs were to come off, and how the agreement would be enforced. Mr. Trump’s advisers have said that the final decision on tariffs would probably fall to the president himself. The date and location of a summit meeting are unclear. The United States had proposed holding it at Mar-a-Lago, Mr. Trump’s Florida resort, but China has been pushing for an official state visit in Washington, or a neutral location in a third country, people familiar with the matter said. The two sides have been looking to hold it this month, though it could be delayed if a final agreement is not reached soon. The administration’s push to announce a summit meeting before a final deal is reached could trigger criticism that the president is surrendering some of his negotiating leverage in the rush to make an agreement. Both Democrats and Republicans have urged Mr. Trump to hold out for a tougher deal to combat Chinese practices that American businesses have long seen as problematic, including the coerced transfer of foreign technology as a condition of doing business in the country, and the ample subsidies for Chinese firms. American negotiators have pushed for an enforcement mechanism that would allow tariffs on Chinese goods to snap back if China violated the terms of the deal, and that would forbid China from retaliating in return. But Chinese negotiators have resisted such an idea, describing it as a potential infringement on their sovereignty. Mr. Brilliant said foreign stakeholders would be scrutinizing the deal to see whether it contained a strong enforcement mechanism that would hold the Chinese accountable to their obligations. Previous PostPrevious They Thought It Was Their Uber. But the Driver Was a Predator.